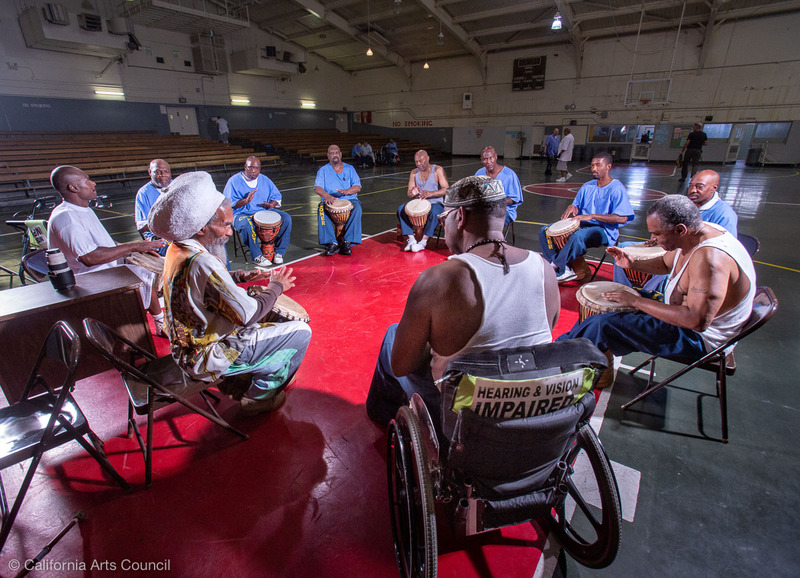 Instructor Val Serrant teaches several Afro-Caribbean drumming classes at CMF; this one takes place in the gym, where men playing basketball, shooting pool, and lifting weights can feel the rhythm. This course is sponsored by the William James Association, as part of Arts in Corrections. Funding for these photographs was provided by the California Arts Council.